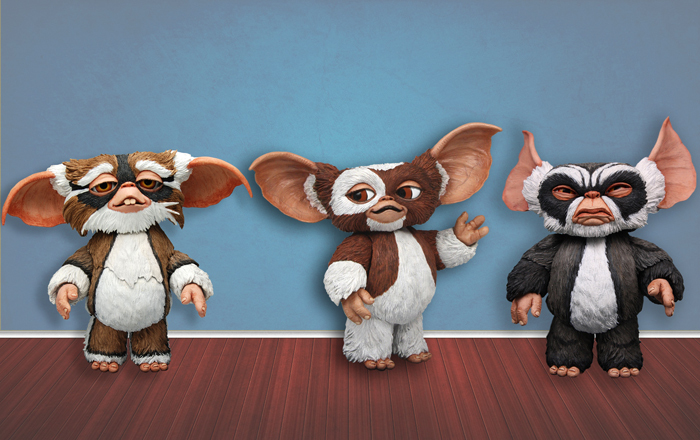 A brand new line of fully poseable Mogwai figures based on the characters from Gremlins and Gremlins 2: The New Batch. Series 1 includes fan favorite Gizmo, George, and Lenny. Each figure features ball jointed ears, necks, shoulders, forearms, wrists, hips, and fully movable eyes! A small ball carefully concealed on the back of the head allows you to move the pupils in all directions to create many different looks and expressions for your Mogwais. Clamshell packaging. Available Summer 2011.